Maybe it’s just a flash of movement. Just past dusk, you notice something out of the corner of your eye as long shadows play dart games with sunlight. Or perhaps the birdseed runs low unusually fast. Sitting on your deck at night, you hear a high-pitched chirp. There may be acorns with meticulously rounded holes cut through the sides scattered along a path. In any of these cases, your backyard may be home to one of the area’s most abundant, least seen, and most charming wildlife neighbors – the southern flying squirrel. These tree squirrels, Glaucomys volans, are active year-round but are typically unseen. Your best chance to spy one is in late fall through the winter when leaves have renounced their places among the branches. They will be high in the treetops dining on silkworm caterpillars, seeds, maple sap, fungi and fruits. It’s an omnivorous diet that includes bird eggs, carrion and sometimes a small mammal. As the temperature drops, so does their range of comestibles, so they focus on nuts. They’re partial to hickory and hazelnuts. Roosting and nesting boxes can easily lure them within viewing range if supplemented with nuts and mealworms. So what are these curious creatures? They’re alluring rodents. Our native flying squirrel weighs less than 90 grams, about the same as a half box of mac and cheese or a king size candy bar. They’re less than 10 inches long with a tail less than five inches long. They rate very high on the “cute” factor with large black eyes and a face covered with whiskers. Their fur is a mottled grayish-brown on top and white underneath. And they have this great gimmick. They can fly. Not flap-fly. They glide. They have something called patagium, stretched skin between the fore and rear paws that can expand. They’re like fuzzy parachutes. High speed photography has shown us that flying squirrels can adjust their skin flaps to turn, gain lift and outmaneuver predators of the nighttime forest, barred owls or great horned owls. The tail serves as rudder and brake while the whiskers, or “vibrasse”, contact the landing surface first, allowing for safe touchdown. On the move from approximately 30 minutes after dusk until just before dawn, flying squirrels industriously cache nuts in multiple locations. eNature says flying squirrels may store 15,000 nuts, including acorns, for a season. Preferring the high rent district of an abandoned woodpecker hole, these tiny creatures sometimes may have to build their own miniature “drey,” a squirrel nest made of leaves. Other accommodations could include attics or bird houses. They use multiple nest sites, but winter’s desire for warmth trumps solitude, and many squirrels may den together. A lack of deep cavities in sturdy branches encourages flying squirrels to use manmade nesting boxes, which look like a long narrow birdhouse. The opening is next to the trunk instead of in the front, because flying squirrels avoid the potential exposure of climbing on the front of the box. If you want to draw them to your yard, add a roosting box downstairs on a lower part of a tree, and fill it nightly with a dozen unsalted roasted peanuts or, for a treat, hazelnuts or mealworms. Remember, the entrance hole needs to be next to the trunk to calm their fears. Flying squirrels and our everyday grey squirrels are far from kissing cousins. They are more like mortal enemies. So if you want to attract flying squirrels, timing is everything. Feeding must coincide with the hours that grey squirrels have tucked themselves away at night. Try peanut butter inside the roosting box or on the metal flashing surrounding the entrance hole. Avoid putting peanut butter on the tree trunk. That will encourage chewing on the tree bark by all types of squirrels and raccoons. The best way to be a good neighbor to flying squirrels and other wildlife is to keep one of their top predators away — house cats. Flying squirrels regularly return to earth to get water or nuts and seed. They sometimes fall prey to fox, but more often house cats. Practice backyard habitat basics. Provide a fresh water source, plant native plants for their fruit and nuts and for the helpful insects they attract, leave trees with cavity holes standing when safe, and don’t use insecticides. Lay out the welcome mat to flying squirrels, and you can usually see guests arrive within a week. By quietly getting closer, you may soon enjoy the thrill of watching them soar in from as far as 100 yards away. These squirrels get used to people quickly and will even stay still long enough for a well-prepared photographer. An easy way to see flying squirrels and determine if you have them already in your yard is to attend a program on flying squirrels at a park nature center. Since 2008, flying squirrels have been kindly showing up Hidden Oaks Nature Center on schedule to delight visitors. Eagle Scouts have built and mounted roosting and nesting boxes, and the plans are available on request. Author Suzanne Holland is the assistant manager at Hidden Oaks Nature Center. 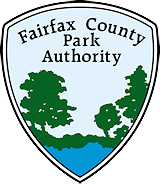 This entry was posted in Uncategorized and tagged Education, Families, Flying Squirrels, Glaucomys Volans, Hidden Oaks Nature Center, Kids, Mammals, nature, outdoors, Patagium, Vibrasse on December 3, 2013 by Fairfax County Park Authority.